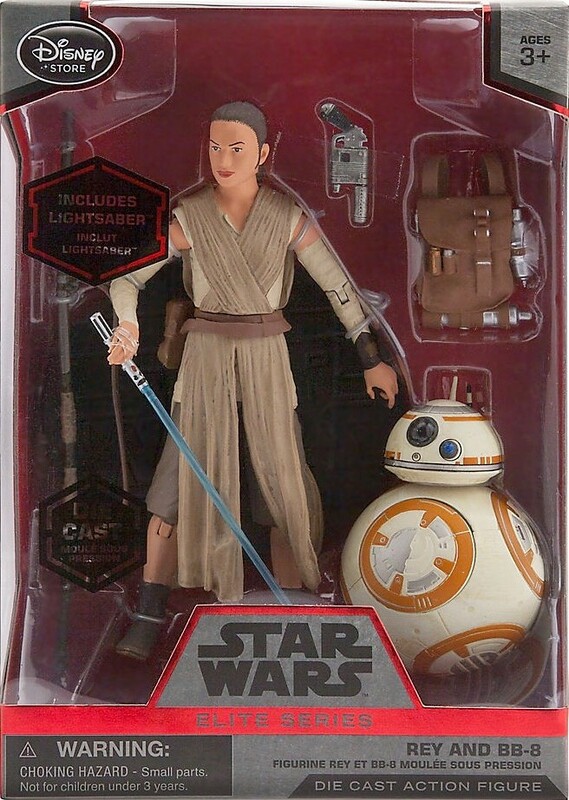 Rey with lightsaber and BB-8 droid Star Wars Elite Series die cast 6 inch action figure, brand new in box with both seals intact. 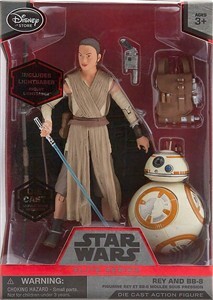 DISNEY STORE EXCLUSIVE VARIANT. The box and plastic window may have very minor shelf wear but no significant dents, dings or scratches. ONLY 3 LEFT.